Priscialla Opoku-Kwarteng popularly known as Ebony Reigns was a Ghanaian-born Dancehall Musician who has thrilled the good people with good lyrical songs. The young damsel when she was alive seemed to be full of youthful exuberance making her to certain things on stage which didn’t go in line with the Ghanaian culture and ethics. One could also argue that Ebony Reigns did all she did because of the industry and the genre of music she found herself. However, most Ghanaians couldn’t come to terms with her because they see her as a bad influence on the youth, hence, badmouthed her at any given opportunity. Today, Ebony Reigns is late (dead) and these same Ghanaians who hated her are now being remorseful. But what is the use of being remorseful when she couldn’t win your sympathy while alive? For these and many other reasons, Ebonygh.com brings you 10 reasons why Ghanaians must be ashamed of Ebony’s death. 1. Ghanaians were very impatient towards Ebony Reigns. Since her entering into the music scene, the Ghanaian populace was impatient towards the dancehall singer. 2. Ghanaians were quick to judge the ‘Poison’ hit-maker at the least chance they get. 3. The Ghanaian populace did not see any good thing about Ebony Reigns, not even one good thing. 4. The Ghanaian people betrayed her big time. Priscilla Opoku-Kwarteng a.k.a Ebony Reigns felt rejected by her people. 5. As a country, Ghanaians never welcomed the ‘Maame Hw3’ hit-maker despite all her efforts to entertain them fell on hardened hearts. 6. Ghanaians cursed Ebony Reigns with their own mouths; just as the saying goes “life and death lies in the power of tongue”, Ghanaians took advantage of that to daily curse Nana Hemaa. 7. We never supported her musical career. Ebony Reigns had never received any single support from Ghanaian when she was alive. 9. 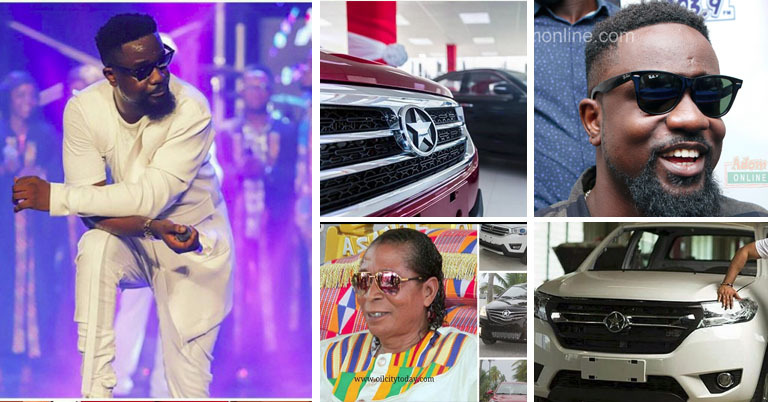 Negative pronouncements; each time a Ghanaian opens her mouth to talk about the ‘Sponsor’ hit-maker it’s always a negative statement coming out. 10. We are rude, harsh, mean and hostile towards Ebony Reigns. Ghanaian could not contain Priscilla Opoku-Kwarteng not for a minute.